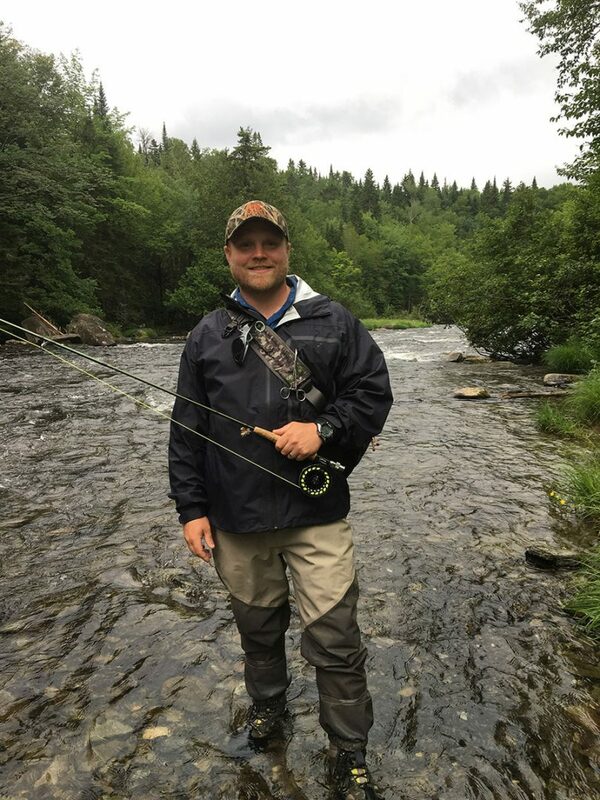 Paul Starring has a love of the outdoors, but fly fishing is his favorite pastime. Paul grew up in Littleton, NH where he lives with his wife and three daughters. He spent a lot of his childhood spin fishing for bass, perch, and pike, but when given a fly rod in his teens he fell in love with fly fishing. His new hobby led him to explore the waters around his home town and the Great North Woods, in pursuit of trout. When not fishing, Paul spends his time logging firewood off his land (winter is always coming), growing vegetables, and playing outdoors with his daughters. He also enjoys hiking, canoeing, and snowshoeing. If you ask him about some of the things he has on his “bucket list”, most of them will be places he wants to fish, but to him nothing compares to New Hampshire.